Barley Wine. The name itself is something of an oxymoron. Through the ages the term has been used to describe just about any beer with a higher-than normal ABV, but in the last one-and-a-half centuries it has come more and more to refer to the tighter style we know today; a style that is about as complex in the glass as a beer can be, and as taxing on the brewer and their equipment as they may ever experience. In just about all brewing traditions there has been a tendency by some to search for the biggest and strongest beer they could produce. In Germany, this led to the evolution of such styles as bock, Doppelbock and starkebier. In Belgium, it led to the modern dubbels, tripels and the various strong ales that the lowlands are so famous for. In Britain, it was the very closely related styles of old ale and barley wine; styles that can reach extremes in both the level of alcohol they carry and the length of time they can age. For centuries, most brewing had been done in the house. 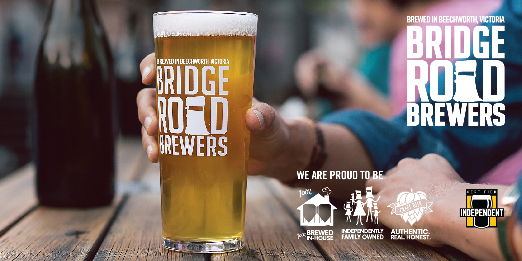 Even after the industrial revolution and the resulting changes in brewing dynamics, many households still brewed their own beer. In larger, wealthy households (particularly those on estates) it was not uncommon to have a brewer in the estate’s employ, or a butler who also oversaw brewing. These brewers would very often brew by what is known as the parti-gyle system. The first (and strongest) runnings from the mash are used to make a small batch of very strong beer. The mash is then rinsed for a second and even third time to create further beers with gradually diminishing gravities and alcohol contents. The first beer, which may have reached 10 per cent ABV or more, may have been kept aside for special events or after-dinner drinks with guests. The second beer, with an ABV of 4 to 5 per cent, might have been for consumption by the family with dinner. The third and final runnings would likely have made a small beer of barely a few per cent of ABV that would have been for ordinary consumption during the day and for consumption by staff. At times, the heads of the household may have called for a more special beer to be created and the brewer may have used an extravagant technique called double-mashing in which the wort from one batch of beer is used as the liquor (water) to mash in a second batch – a wasteful yet sure way to guarantee a high starting gravity. These beers usually went under descriptions such as stock ale, October ale (because October was seen as a great time to brew) or majority ale and were quite often put down to mature in the cask for long periods of time. In fact, there are records of some of these beers being kept for 25 years or more before consumption. After ageing, these beers would show flavours that, at the time, gave rise to comparisons to Madeira, and the beers were usually consumed in the same manner. The long ageing periods of these beers and their sheer intensity of flavour made them prized both at home and abroad. Commercial breweries had long been making very strong beers, but these were usually only used for blending in small amounts with other beers, and rarely for service on their own. These strong old ales, both domestic and commercial, were the forebears of many modern styles, including imperial stout, Baltic porter, India pale ale, old ale and, of course, barley wine. As well being famous for India pale ale, the Burton brewery Bass (or, as it was known in the 19th century, Bass, Ratcliff & Gretton) is also closely associated with barley wine. 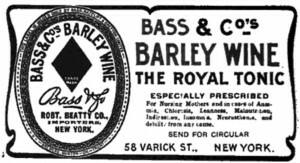 In 1869, Bass brewed a special strong ale (which we would now call a barley wine) to celebrate the birth of Robert Ratcliff. They originally intended to lay the brew aside until his 21st birthday, but, fortunately for the world, there have been more than a few bottles slip through the cracks of time. Bass even found a small cache of it a few years back and it occasionally shows itself at special beer events, where it’s said to show remarkable qualities for a beer of its age. But it was another special strong ale by Bass that really gave rise, in a commercial sense, to the term and style designation of barley wine. Bass No 1 was released in 1903 and is believed to be the first beer to officially be marketed as barley wine. After this beer, both the term barley wine and the use of a numbering system, denoting beers of varying strength, started to come in to more common usage. As the 20th century unfolded, it became more common for a barley wine to feature in an English brewery’s range. In 1968, the other big name in barley wines and old ales made its first appearance. Thomas Hardy’s Ale was brewed by the Eldridge Pope brewery to mark the 40th anniversary of the celebrated British author’s death and the refurbishment of the Trumpet Major pub in Dorchester. It was Hardy’s writing about the beer served by this pub that led the brewers to create the beer he described. Originally, this beer was meant to be a one-time special release, but proved so popular that in 1974 it was re-introduced and continued as a vintage, dated release until 1999. In 2003, the beer re-appeared as a product of the O’Hanlon’s brewery, but production again ceased in 2009. Bottles from both periods of production appear from time to time, and indeed bottles of the last vintages may well be on the shelves of some bottle shops around Australia. 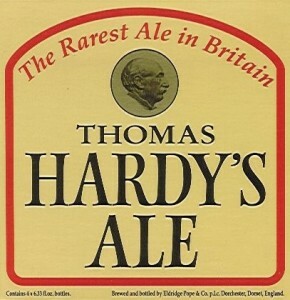 Thomas Hardy’s Ale sits on the border between barley wine and the very closely related old ale and one of its key marketing points, right from the beginning, was its claim to be able to withstand the tests of time for 25 years or more. In 2005, I was privileged to sample two bottles from the 1975 bottling, making the beers 30 years old. While the cellaring of these beers may not have been by the book, the flavour profile was certainly heading that way, with strong port and Madeira flavours to the fore. As the US craft beer revolution sprang to life in the 1980s, barleywines, as they are called in the States, began to appear in the line-ups of American breweries. Many of these beers followed the form card of their British ancestors, but some started to take a new direction and a new sub-style was born in the form of American barleywine. Essentially, the styling and ethos remains the same but, like in many US style variations, the hopping tends to be a little more heavy-handed. When it comes to the important part of any Barley Wine (what’s in the glass), the sheer depth of fl avour can be even more staggering than the alcohol content. The colour of the style, on average, tends to be of a copper to ruby hue, but some examples may be as light as gold, while others may be more towards the brown end of the spectrum. The foam is generally on the lighter side, as is the carbonation, although some American variants may indeed push this carbonation more than a little higher. The nose of a well-made barley wine can be a truly magnificent thing. Traditional examples may show deep and rich malt profiles of caramel, toffee, fig and raisin, blending with overripe fruit notes created by yeast that has been driven to the upper end of its limit. Hop aroma in traditional examples is usually on the lower end, but young American-inspired examples may show a hop aroma that is more than a little reminiscent of an IPA. While, traditionally, the style spent long periods in oak casks before packaging, most modern examples are conditioned exclusively in stainless tanks. There are some exceptions to that, and so oak character is not to be unexpected on the nose. The flavour and mouthfeel of barley wine can vary quite significantly depending on age. Even in the more hop-subdued, traditional British form, barley wine can still be a quite bitter beer, with bitterness levels often reaching well over the 70 IBU mark. While a high finishing gravity and rich malt profile may go a long way to balancing this bitterness back, young examples can still sometimes seem a little awkward in regards to balance. American-inspired examples even more so. However, given the grace of time, this extra bitterness helps these beers to reach their potential long life, and it doesn’t take too long before the bitterness begins to gently integrate itself into the beer. Rich malt flavours, often akin to that of dried fruit, seem to be a common theme in the mouth of most barley wines, and more aged examples might show some sherry- and Madeira-like oxidative flavours to add to the complexity. The mouthfeel in young beers will most likely seem quite full and chewy, but older models may feel a little thinner and more vinous than they did in their youth – all part of the wonder of time. The classic time to consume a barley wine is after a meal as a digestif, but there is no reason they can’t form part of the meal itself. One of the all-time classic food and beverage matches is barley wine with blue Stilton cheese, but a friend also swears by an American-style barleywine as an ideal accompaniment to his homemade goulash. While by no means a common beer on the shelves of Australian bottleshops, there are more than a few examples of barley wine available to the smart beer shopper. Those with a little space to do so might like to buy two or more bottles, so as to have one for immediate consumption and others for further ageing. 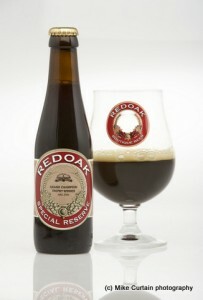 Australian-made examples include Redoak Special Reserve, Murray’s Anniversary Ale (1-5), Grand Ridge Supershine, Feral Razorback and 2 Brothers Guvnor. In the imported department, there’s Thomas Hardy’s Ale (though this was discontinued in 1999 and may be getting a little rare now), Rogue Old Crustacean, Sierra Nevada Bigfoot, St Ambroise Vintage Ale and Flying Dog Horn Dog. For more the the difference between old ale and barley wine, read Martyn Cornell’s always excellent Zythophile blog. Given this very site’s current and constant pressure on CUB to avoid making false claims based on accepted and assumed knowledge (and rightly so) it’s a shame to see the old tosh about parti-gyling repeated here; have a good look at Ron Pattison’s excellent blog and you’ll soon see that parti-gyle brewing was a far more complex system than simply brewing separate beers from separate runnings. In fact making each run a separate beer seems to have been purely a domestic pursuit, as the gravity of subsequent runnings had to be bumped up by sugar, which was illegal for commercial brewers during the height of parti-gyle brewing practice. Indeed Gus. I can’t say that I disagree. Part-Gyle brewing (for completely seperate beers) was likely a largely domestic pursuit (as was almost certainly the case for the double-mashing idea mentioned afterwards) and I believe that was how I refer to it in the article in relation to how beers that were perhaps the forebears to the modern style known as Barleywine may have been created in the estate setting. An yes, depending on how it was conducted subsequent or even the first runnings may need to be boosted with sugar or other fermentables. Parti-gyle brewing can be done in many fashions depending on what is desired in the final product and the process and its history should be an entirely different article.